I don’t even need to look at the screen to verify that; I know. My flatmate is trying to locate the Serial podcast on iTunes, as I’ve worn her down over the course of a week and she’s about to start listening. Similar conversations are happening in living rooms across the country, and indeed the world world. I know because they are playing out on my Facebook and Twitter feeds, in my work emails and my conversations on the train. It’s breaking records all over the place; becoming the fastest podcast to reach 5 million downloads. Everyone is obsessed with this thing, including me. But, the thing is, I’m obsessed with what I think about it. Serial made me uneasy from the beginning and I keep searching to see whether others share that unease. Because I don’t care about the grand whodunnit, I wonder about what we’re participating in, and why. It’s probably best to lay Serial out in its own language. Made by the team that created This American Life (an award-winning US radio show and podcast) Serial will follow one story – a true story – over the course of a whole season. We’ll follow the plot and characters wherever they take us and we won’t know what happens at the end of the story until we get there, not long before you get there with us. Each week we’ll bring you the latest chapter, so it’s important to listen in order, starting with Episode 1. 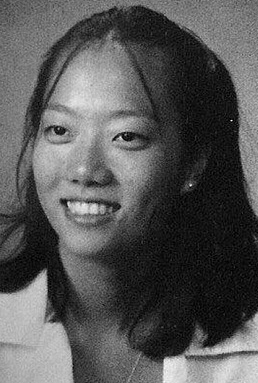 Narrated by journalist Sarah Koenig, season 1 of Serial tells the story, not of any fictional HBO or Netflix characters, but the very real story of Hae Min Lee, a high school senior in Maryland, who went missing in January 1999. Or actually, it doesn’t. It tells the story of Adnan Syed, her former boyfriend who was convicted of murder when her body was found one month later and sentenced to life in prison – a sentence he is still serving, and the validity of which Koenig is questioning. Because Serial follows a very typical format not unfamiliar to viewers of CSI – it starts with a body. The body of a woman. And what follows is endless fascination. Feminism is something we often treat like a religion; it’s a set of values against which we constantly check ourselves and what we’re doing. Also, all too often, it’s a stick we use to beat each other. I kept questioning myself as I listened to this podcast. Was I finding this wrong or did I think I should be? Which was it? Was this bad feminism or bad ethics in journalism (god that phrase feels like it has a missing word now, doesn’t it?) or both or neither? I became consumed by the need to hold my experience up against other people’s. It’s because not much about Serial is immediately, glaringly wrong. It’s a well made piece of journalism, largely respectful towards its subjects, and in spite of often including Koenig’s own personal trajectory within the case that she has now been digging through for over a year, it’s a fallibility that is admitted and included in the telling. It questions what may well have been a miscarriage of justice and regards a legal system ever plagued by racial bias. Serial takes over, once you’ve allowed yourself to get a few episodes in. You’ll end up with a confusing mechanical discordance stuck in your head until you realise it’s the interstitial music. If you’re really invested, there’s a subreddit entirely devoted to the podcast; filled with a sometimes unsettling mix of amateur sleuths, the morbidly curious, and people who actually knew Hae and Adnan. But there’s a creeping unease that settles in the more you hear Koenig’s cheerful ‘tune in next week’ outros. It’s Serial’s format that prickles at my consciousness. People marathon it like they do a HBO box set. They talk of spoilers. ‘Who is your favourite character?’ and ‘What episode are you on?’ are questions I have regularly been asked. There are well populated hashtags #TeamAdnan and #TeamJay (a key witness in the case, who stated that he helped Adnan to bury Hae’s body) on Twitter. A friend compared it to a courtroom drama, then caught herself and swore. The way that it’s drawn out week to week – some ‘characters’ foregrounded, others revealed much later, hints and tips and new information teased at, leads the audience to respond to it in a way they likely wouldn’t have done were it a single stand alone documentary. People don’t mean to, but they forget; that it’s real, that Hae and Adnan’s family and friends are still out in the world, living their lives without a loved one, being hunted down on Facebook by overeager denizens of the internet. That a teenager was strangled and buried in the ground and she is never, ever coming back to her family. There’s barely a handful of #TeamHae tweets. A few months ago, the world watched the trial of Oscar Pistorius; the worst kind of reality and the best kind of entertainment. A beautiful woman was dead, now what would happen to this successful, internationally famous man? The tabloid dream. Here he was, the blade runner brought low. Again, people pored over the details – Where exactly was her body lying? Had people heard them argue? Could he have genuinely thought she was an intruder? Long after Reeva was laid to rest, her corpse would be picked over again and again as this trial went on – for what felt like forever, it dragged itself across my social media feeds, with people eagerly commentating on how Pistorius looked that day in court, what he had said; this glance, that twitch. The decision to televise the trial has been debated at length but more often than not comes down to the same key question; was it done for education or entertainment? The same worry nags at me with Serial. What Slate’s Benjamin Wallace-Wells aptly describes as the ‘psychological tourism’ enjoyed by Koenig and by us as listeners is part of the allure. Wondering how that day felt, why everyone did what they did, when they did, if they did. Picking over the details of whether Hae was murdered in a Best Buy car park or a library car park and where Adnan made a phone call at 2:36. Hae feels so anonymised and erased by the whole process – after episode 2 she really is just the body. This is a stark result of her simply no longer being around to speak for herself, unlike Adnan whose voice we hear in many phone calls with Koenig, but also a result of her family not responding to all attempts by the Serial team to contact them. It took Koenig until episode 9 to clarify this – perhaps waiting for them to come forward once the podcast had started airing – but it does raise difficult questions about the nature of consent and consideration of Hae’s family. That they have no control over the making of this programme about the murder of their daughter/sister/niece/cousin should give anyone listening pause. I’m not sure it does. Listening to Serial raises more questions than it answers. It’s not something you can cleanly refute, as it doesn’t feel as though there’s a stark line in the sand that it crosses; any one inalienable violation. Doorstepping Jay in episode 8 is probably its lowest point, although a section in which Koenig and a lawyer discuss how ‘lucky’ they would be if Adnan was a psychopath (that’s lucky for Serial lucky, just to be clear; not lucky for Hae, his family, or even Adnan himself. It’s good drama-lucky) is frankly alarming. It’s the constant unease you feel in having access to such intimate details and in your own thirst for next week’s revelation of more. People I speak to even mention feeling ‘grubby’; something I was interested to note really leaped across the gender divide. Audiences have very eloquently and forthrightly parsed problems with it, but are equally loathe to stop listening. Debates on journalism and the subjectivity of truth wax into sniping about how irritating Adnan’s lawyer sounds and whether Jay is trustworthy; it almost feels like the old days on Television Without Pity. This growing culture alarms me, but whether a Lost-like uproar will surround the final episode (unlikely to provide an entirely neat narrative conclusion, what with being real life and all) remains to be seen. Just as Koenig herself goes back and forth on how she feels about the case, I go back and forth on whether or not I feel comfortable with Serial itself and my participation as an audience member. I suspect I won’t know until it finishes, but it feels important to keep questioning. This is a really good piece and very well-written – I am thoroughly enjoying Serial (as the child of a lawyer I find the many many troubling details of how the case was handled fascinating) but once I did eventually realise what you’ve outlined here (before you outlined it, thankfully) that once again a dead girl is being used as entertainment it soured a little. It’s the same as the feeling around the Amanda Knox film; the victim is forgotten. What do you make of the fact that Adnan’s case is now finally getting the appeal that he’s been battling for for years? They’ll have to work hard to track down an impartial jury on that one, I think. One minor quibble – I thought Sarah and the lawyer discuss whether Adnan is a sociopath, (in the context of the case and the doubt surrounding it), not whether he’s a psychopath (and that would therefore make good radio)? Minor, but they are different psychological classifications. Might have mis-remembered that – too much detail! This was very intriguing as I have no interest in listening for the very reasons you explore here. I’m even more put off because the family appears to not want it to exist (or at the very least has not given permission). I think using a true story is in very bad taste as it’s being presented as entertainment (I would argue documentaries are about getting information out there rather than being entertaining, so I’m totally fine with documentaries on murders, etc.). I think as someone who has been on the receiving end of plenty of abuse and drama (if my life was written down it’d be a bestseller) I very strongly connect to the victim in these sorts of tragedies. Though I think being very aware of this perspective if something like it has never happened to you is hard especially if they way you hear the story doesn’t frame it that way. Thanks for flagging this up. I caught a recommendation on my facebook feed just this week, and binged the whole thing without much time for critical reflection on my own motivations. The macabre fascination with real-life tragedy is an uncomfortable trait in human nature. I was initially shocked at the way Ira Glass describes it but that is really what it has become. As you say, most of those involved are still alive and still living with the consequences, and this series is forcing them to relive it whether they like it or not, through public entertainment. In a few months it will be all but forgotten again and the public will be baying for more blood. I agree that we hear of Hae Lee is almost marginal to the narrative, which is mostly, ‘What were the flaws in the investigation and trial? Should Adnan be in prison? Am I, Sarah Koenig, turning into one of those batsh*t crazy women who end up marrying Charles Manson?’ etc. The show did only come about as a result of Rabia, a family friend of Adnan’s, proposing it to Sarah, so I suppose it was always going to be that way round. However, they haven’t really explored the wider issues of violence against women, and the social/cultural factors which make it so prevalent, which i think is sorely missing. I can’t not listen to the final installments, but I will definitely be more ashamed of myself as I do. I am South African and I swore that I would NOT follow the Pistorius trial. That didn’t last for very long though. All it took was someone’s facebook status to lure me in. Truth is I wanted to be lured in. So, I followed the case. Lamented the fact that Reeva was pushed to the side. Her sense of being a person, whose life was taken away was often trumped by what was happening in court that day. Like you said are these things educational or entertainment? I do no follow Serial but from all the talk surrounding it I am very intrigued. But from my experience with the Pistorius trial it is entertainment. At least it was for me and I can’t talk for anyone else. Me watching the trial helped no one, especially not the people whose lives were most negatively affected by the situation – Reeva and her family. I guess the only education that I got from it was what I learnt about myself. Which was that I am not above engaging in entertainment that is questionable and has no real value beyond being sensational. I mean this isn’t an indictment on entertainment as a whole. But rather what you’re talking about in terms of using real people and situations as subjects. There is a real conflict there and what the solution might possibly be I just don’t know. I have heard a lot of friends talking about this but the fact that it’s about real people has stopped me downloading (despite being a podcast FIEND). Not that I’m so great or anything. 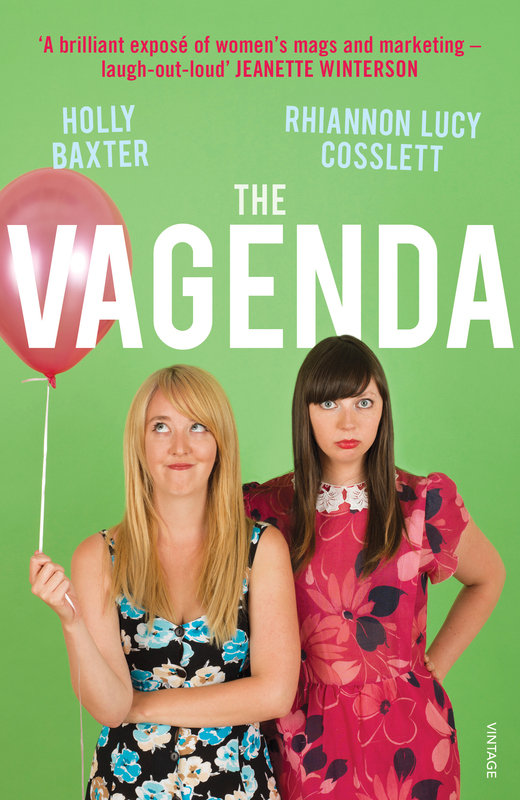 I watch a lot of deeply suspect and probably quite exploitative and DEFINITELY NOT FEMINIST reality shows (ehem. real housewives), but the fact that living relatives of the murder victim could easily find this or be found by serial fanatics makes me feel a bit sick. People being entertained by gruesome stories (especially murder stories where there’s a clear cut good guy bad guy thing going on) is not in any way new so I don’t think we’re all going to hell in a handcart or anything, but the suffering this must cause for those genuinely affected by Hae’s death must be huge. It’s distasteful to me that the murder of a young woman is feishised to earn fame and cash. i won’t be listening. First of all, let me excuse myself for the mistakes i could make in this comment because my native language is not english. Thank you. After reading your piece, I have some opinions based on what you wrote. First of all, the fact that the murder of Hae is being used for entertainment. Well, yes and no. Depends of what you think as entertainment itself. There’s a lot of TV channels based on telling stories of people’s murderers, why is Serial worse? Or these shows are too? I’m a fan of Serial, and I don’t see the podcast that way. I’m listening how a young girl was murdered and her ex-boyfriend was find guilty. The question is, did he do it? and here’s Sarah telling you the loopholes in the case. Then, you’re starting to question is Adnan is guilty or not. Week by week you’ll discover new information, it’s ridiculous to think that Serial could be a one-episode thing. Hen’s dead, but Adnan doesn’t. Discovering the real killer (if) would bring both peace. Finally, Hen’s family, and herself would find justice, because the real killer finally will face justice as well. And I think that for Adnan’s case, it’s pretty obvious. What you say about Hen’s family being summited to an internet sensation, has brought hope to Adnan’s. There’s already a group of lawyers taking care of the case, a case that without the attention given, would been forgotten. We’re talking about a possibly innocent person life-sentenced and a murder laughing of how he got out. Let’s not get confused. This is not a soup-opera. I don’t even think Sarah’s making it seem that way at all. But, on the other hand, I’m agree with you, that Hen has lost presence on the show, and she’s been left apart. It would be nice to know what exactly the show has for priority. Find out Adnan really did it? Find out that Adnan did’t do it at set him free? Prove the legal system is scary? For that we know, just takes one person to say that you did it and pum! you’re in jail. Not (a lot of) questions asked. Prove that the internet can make an important difference on a murder case? Hell, I don’t know, but for I am concerned, I’m now always aware of having an alibi. You touched very important points, that not all of us had thought about before, and for that, thank you, and thank you also for bring statements that I can refute.